spring end and hook set. gold colour. pack of 5 sets. 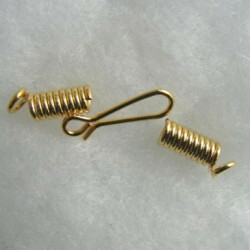 > Findings>Clasps, Crimps and Fasteners>Spring end and hook SET. Gold colour. Pack of 5 SETs. 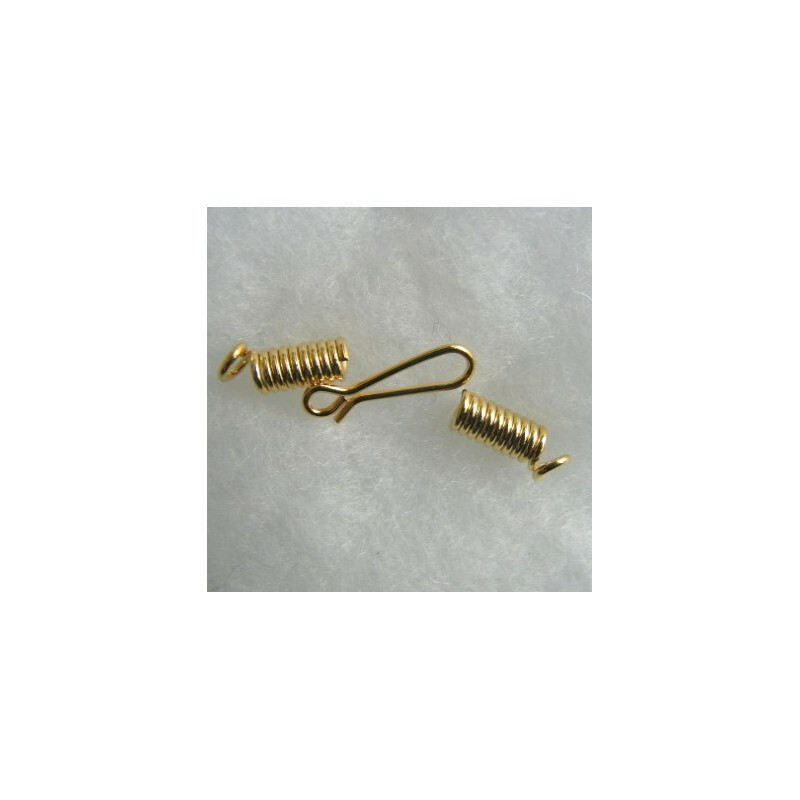 Spring end and hook set. Gold colour. Pack of 5 sets. Click for quantity discount.